"Google is pressing pause on its efforts to build Pixel laptops, leaving the in-house premium brand to tablets and phones. 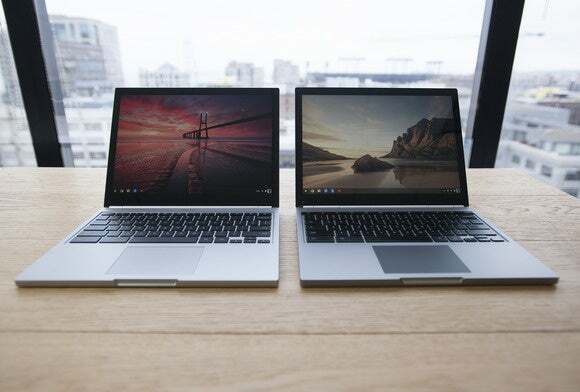 The company’s hardware chief, Rick Osterloh, recently told reporters during Mobile World Congress in Spain that Google had “no plans” to create a new Chromebook Pixel, according to TechCrunch. For now, Google is leaving it up to third-party Chromebook makers like Asus, Acer, HP, and Samsung to fill in the gaps. Osterloh’s statements seemed to suggest that Google was giving up on making company-branded Chromebooks altogether. While Pixel laptops were never mass-market sellers due to their high price, they did function as flagship devices that led the way in design. Prior to the Pixel, Chromebook makers weren’t putting much thought or effort into the development of the laptops. It would be a shame if Google gave up on making its own laptops; however, that may not be the case. Osterloh later responded to TechCrunch clarifying that the company doesn’t “have any plans [for new Chromebooks] to discuss at this time.” That may seem to imply that the company is working on something, but it isn’t ready to announce anything yet. More than likely, however, that’s just spin to calm the Chrome OS-loving masses from thinking Google has lost confidence in its PC platform. Why this matters: Google built the original Pixel in 2013 when Chrome OS was still struggling for relevance. At the time, the value of Chrome OS and its “browser in a box” approach was questioned by everyone—even PCWorld editors who now adore the platform. Over time, Chrome OS has transformed into a capable (though still web-centric) operating system. It’s one of the top choices for laptops in education markets and consumers are slowly gravitating towards the devices too. With numerous, well-built Chromebooks from third parties, perhaps the world no longer needs the Pixel to point the way."